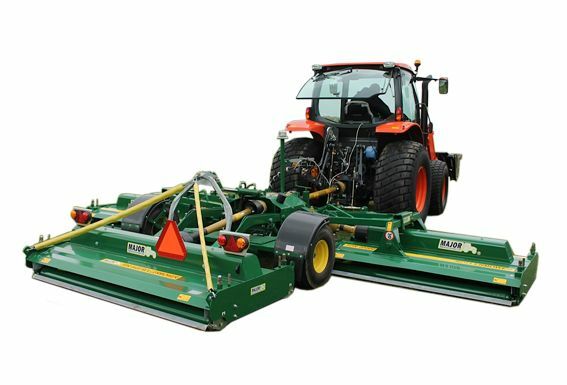 The MAJOR TDR range leads the market in wide area mowers. There are two cutting widths available: 4.9m and 6.1m. grass. The blades are synchronised to rotate in opposite directions and overlap each other by 75mm to ensure a perfect finish every time. 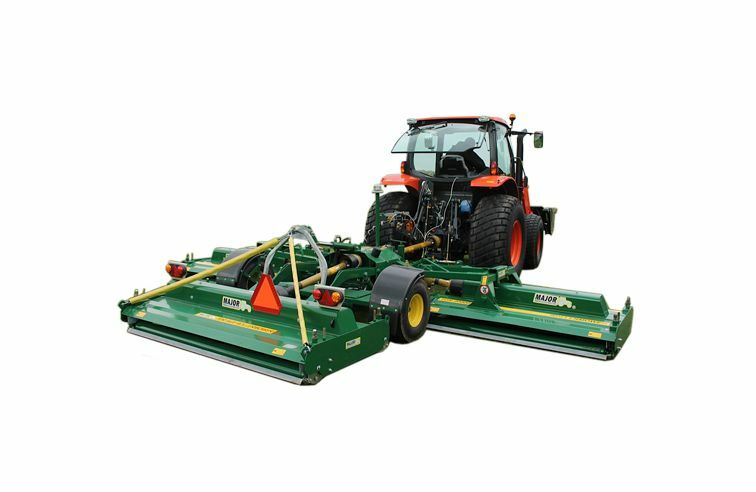 In short grass this mower leaves a professional striped finish equivalent to that of a cylinder mower. The gear driven drive line allows this machine to easily cope with heavier conditions. The machines wings can be folded up to a 90∞ angle giving a transport width of 2.5m.